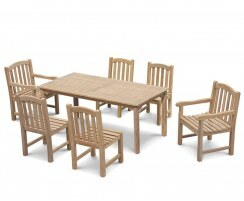 This Sandringham 6 seater garden table with Clivedon side chairs and armchairs offers a traditional aesthetic that will look lovely in any garden or patio. Equally suitable for both home and commercial use, this 6 seater garden table and chairs set provides you with plenty of options for alfresco dining and entertainment. 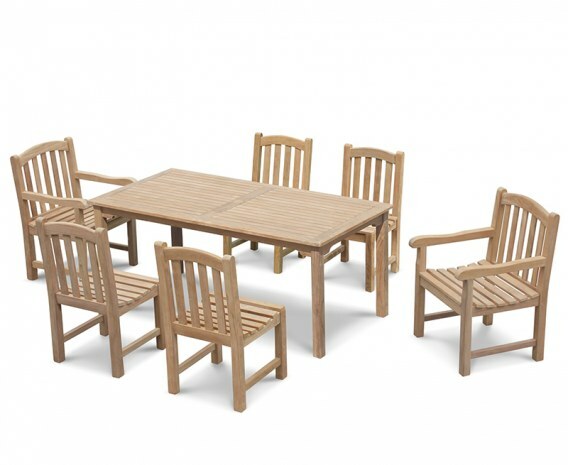 This Sandringham 6 seater garden table with Clivedon side chairs and armchairs is robustly constructed from sustainable A-grade teak, supplied with a smooth-sanded finish for aesthetic appeal. 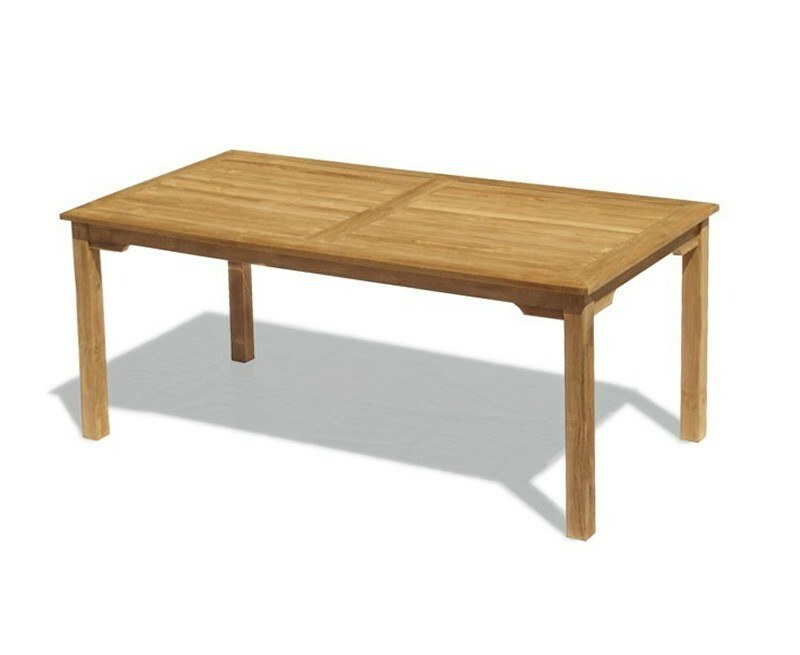 The 6 seater rectangular table features a parasol hole with flush teak insert – simply tap from underneath the table to remove it. 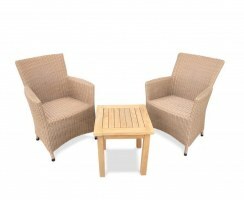 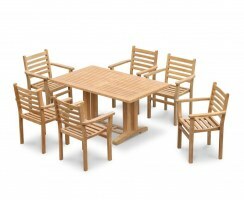 Requiring only minimal maintenance, this teak patio set can remain outdoors year-round no matter the weather. 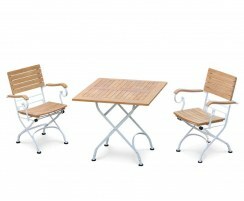 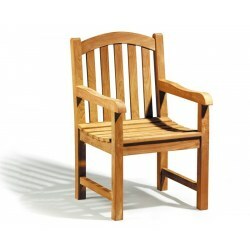 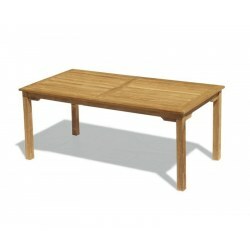 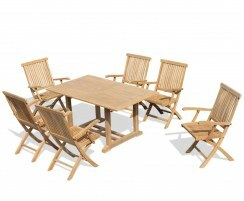 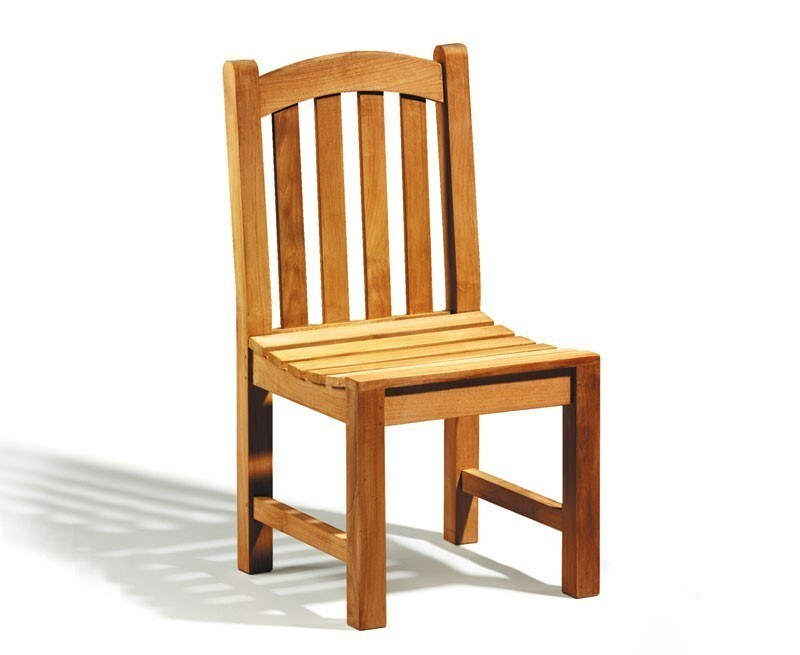 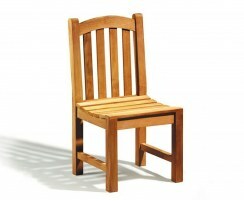 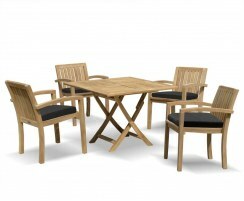 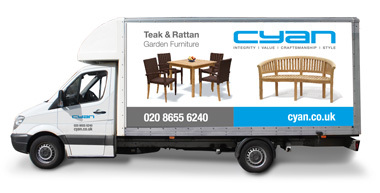 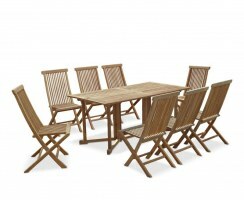 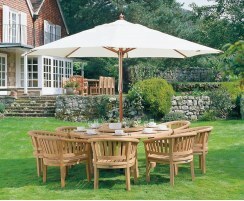 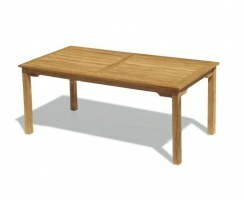 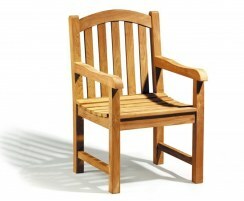 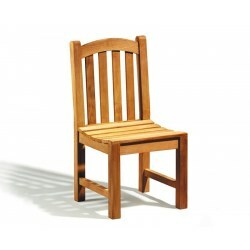 We will deliver this teak garden dining set to you fully assembled for your immediate enjoyment. 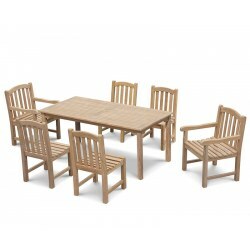 Why not accessorise this teak garden dining set with cushions and a parasol and base, (not included, available separately).